Zimbabwe is a landlocked country located between the Zambesi and Limpopo Rivers in southern Africa. It borders South Africa to the south, Botswana to the west, Zambia to the northwest and Mozambique to the east. Most of the country is elevated on a central plateau stretching from the southwest to the northwest at a average altitude of 1000 m above sea level (with the exception of the Zambesi and Limpopo Valleys, which are under 900m). The country is mostly covered in savannah woodlands, although there are some tropical evergreen and hardwood forests thanks to the moist environment in certain zones. Common tree species include acacia, mopane, teak and baobab, the latter two of which are more visible next to rivers. Zimbabwe boasts several major tourist attractions such as national parks, nature reserves and historical sites. All these attractions make the country one of the most unique and interesting place to visit in southern Africa. Victoria Falls National Park is called “Mosi oa Tunya" by the local Kololo tribe, which means the smoke that thunders because of the nearly 550 million litres of water that cascade into the chasm 100 metres below every minute during peak flow of the Zambezi River. Mosi-oa-Tunya National Park has been a UNESCO World Heritage site since 1989. It is an area that plunges noisily down a series of basalt gorges that give rise to an iridescent mist that can be seen more than 20 km away. The waterfall splash zone creates an incredible rainforest that is a fragile ecosystem of discontinuous forest on sandy alluvium soils and that is dependent upon the continuous supply of abundant water and high humidity resulting from the spray plume. Vegetation includes ferns, palms and ficus trees. There are also many bird species, typical species include the Verraux Eagle, the Peregrine and Taita Falcons, the Black Stork and the Augur Buzzard. When the Zambesi is at its fullest the front of the cascade measures about 1.800 meters, a truly incredible spectacle. Between February and March during the full flood, the spray from the falls typically rises to a height of over 400 meters and sometimes even twice as high, leaving spectators completely soaked. It is an incredibly enjoyable experience, well worth the soaking! There are even many positive aspects of the drier season. From September to January the islets on the crest become wider and more numerous, up to half of the rocky face of the falls may become dry and the bottom of the first gorge can be seen along most of its length, creating a very different but nonetheless awe-inspiring spectacle. The entrance to the national park is a few minute walk from the actual town of Victoria Falls, the main tourism center for the Falls. There are many lodges, restaurants, shops and tourist offices, where you can book different excursions for visits to the falls, a Zambezi River cruise, bungee jumping, canoeing or helicopter rides over the Falls. The Zambezi National Park extends over 56,000 hectares and embraces the southern bank of the mighty Zambezi River, which is the natural border between Zimbabwe and Zambia. There is a large concentration of wildlife to be seen in this area, including a number of the more typical African species such as elephants, lions, buffalo, leopards, springbok and other types of antelopes, kudu, giraffes, zebras and more. The Zambezi National Park is also ideal for people who love fly fishing as there is a large population of tiger fish. The entrance to the park is a ten minute drive from the town of Victoria Falls The dirt road that runs through the park is only passable with a four wheel drive, and it is highly recommended not to go with your own car. It is best to stay in one of the lodges inside the park and join one of the many safaris organised by expert rangers. You can, in fact, enjoy a game watching Safari drive or take a cruise along the Zambezi River, which in this area is a bit more pristine than on the Victoria Falls side.Often the lodges organise canoeing excursions with a nice lunch break on one of the islets formed by the river. This can be a very exciting and interesting experience for the visitor who wishes to get to know the Zambezi River, the surrounding landscape and flora and fauna from a different perspective. Hwange National Park is the largest game reserve in Zimbabwe occupying roughly 56.000 hectares. It is located in the northwest corner of the country, about one hour south of the mighty Victoria Falls. The area was designated a game reserve in 1928 and awarded National Park status in 1930. The park is close to the edge of the Kalahari desert, a region with little water and very sparse, semi-arid vegetation. In fact, the region was formerly occupied by the San bushmen, the only population able to survive the dry conditions, conditions which are the basis for the creation of the reserve since the land has been deemed unsuitable for agriculture due to its poor soils and scarce water supplies. 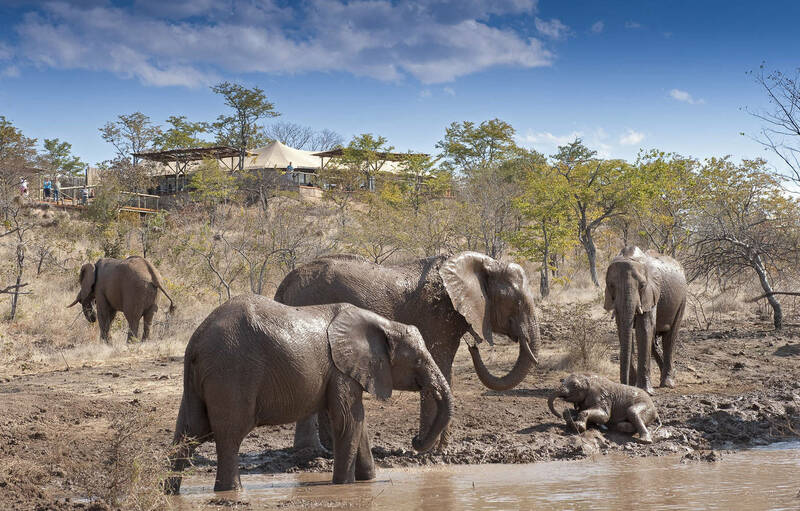 Hwange boasts a tremendous selection of wildlife with over 100 species of mammals including elephants,which have been enormously successful in Hwange with the population on the rise. Other major predatory animals include the lion, spotted hyenas, cheetah, buffalo and rhinos. It’s the only protected area where gemsbok and brown hyena occur in reasonable numbers.Even though it’s one of the most visited parks, due to its size and the large number of tracts in the area, the visitor has the sensation of being alone in this spectacular territory. The landscape is very diverse: the dense teak forest in the north gives way to the Kalahari sand veldt in the south, making it an exceptional location for animal sightings. In between, there are open grassy plains lined with and mopane woodlands as well as islands of ilala palms. Lake Kariba covers an area of 5.580 square kilometres, and is over 280 km long and up to 40 kilometres in width. It’s one of the world’s largest man-made lakes and reservoirs by volume. The town of Kariba was established in order to house workers who were constructing the dam in the mid to late 1950s. 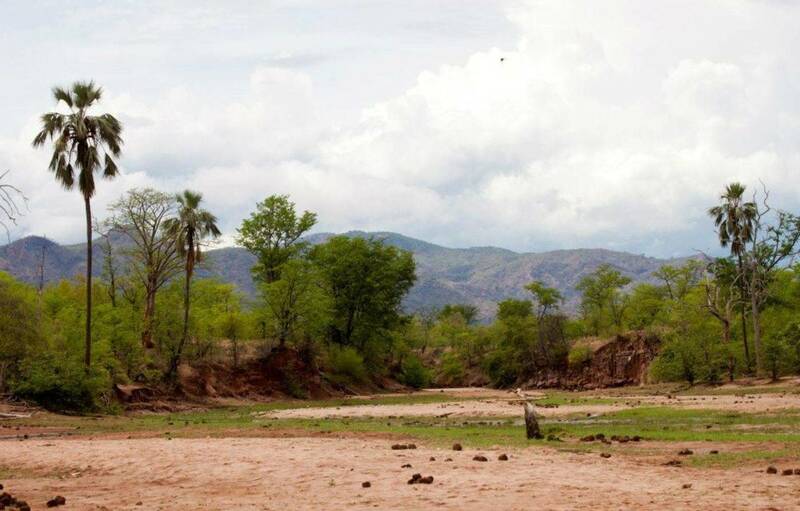 Before construction of the dam wall, the Zambezi Valley was occupied by the Tonga people, a sustainable tribe that led a simple life and believed in gods and mythical creatures. In 1955 when construction on the dam began, the simple life that the Tonga once knew was literally torn apart: trees were cut down, roads were built and communities were destroyed. Many accidents happened during the construction of the dam. There was unprecedented flooding that stormed down the gorge, washing away the new walls of the dam. Heavy rains fell a month before they were due, causing more flooding and impeding work on the dam. These events, the Tonga people believed, was the work of Nyaminyami, the half fish, half snake Zambezi river god, who wanted to take revenge on those wishing to diturb hi river. Eventually, the dam wall was completed and the huge lake began to fill, but the locals still believe Nyaminyami is still around and waiting for his moment to take revenge. Matusadona National Park was designated a game reserve in 1958 and awarded National Park status in 1972. It was created after “Operation Noah”, which was a wildlife rescue project aimed at rescuing more than 5,000 animals that lost their home when the dam was opened to fill Lake Kariba.The southern boundary of the Park is the Omay communal land and the northern boundary is the lakeshore where the biggest population of wildlife live. The eastern side of Sanyati Gorge and the middle of the Ume River provide the east and west boundaries respectively. Matusadonha has three distinct ecological areas: the lake and grassland shores; the Zambezi Valley floor (a mass of thick Jesse and Mopane woodlands); and the Escarpment area, which provides habitat for grazers, most notably the black rhino. This area is also called “Intensive Protection Zone”. Elephants and buffalo range throughout the park, seeking the shade of the Jesse in the heat of the day. This unique park is a World Heritage Site. The name "Mana’’ means “four” in the local Shona language, and this refers to the four large inland pools, formed by the Mana River before ending in the Zambezi River. These pools are the remnant ox-bow lakes that the Zambezi River carved out thousands of years ago as it changed its course northwards. This area has a large population of hippo and Nile crocodiles and is a favourite for large herds of elephant as well as lions, leopards and cheetahs that come out of the thickly vegetated areas in the south to drink. The landscape includes islands and sandbanks fringed by dense forests of baobabs and indigenous trees, such as “anna trees” and “sausage trees”. Put all this together with the rugged Zambezi escarpment as a backdrop, and you have one of the greatest parks on this side of Africa. The park is open to cars only during the dry season from May to early September; during the rainy season many tracts are closed due to the Zambezi floods. Tourist facilities include lodges, a communal campsite with ablution facilities and exclusive campsites where the visitor can be alone. The Zimbabwe rangers and guides are experts, some of the best in Africa, and they are available to take visitors on game drive safaris, walking safaris and boat cruises. For those who love adventure, there are also canoe safaris, lasting anywhere from 2 to 7 days in which you can cruise down the Zambezi River, sleeping in camps on the river bank with truly excellent river guides who possess a great sense of fun and adventure that is sure to make this experience one of the most unforgettable of your life. The Matopos or Matobo National Park became a UNESCO Natural World Heritage Site in 2003. It is situated among the magnificent Matobo Hills from which it takes its name. The area exhibits a profusion of distinctive rock formations rising above the granite shield that covers much of Zimbabwe. The large boulders provide abundant natural shelters and have been associated with human occupation from the early Stone Age right through to early historical times, and intermittently since. They also feature an outstanding collection of rock paintings.These extraordinary granite rock formations have exerted a strong influence on the whole area, both in natural and cultural terms.The area has a rich human history. Bushmen lived in this area 2,000 years ago, and left a superb collection of rock art behind, much of which has been well preserved. 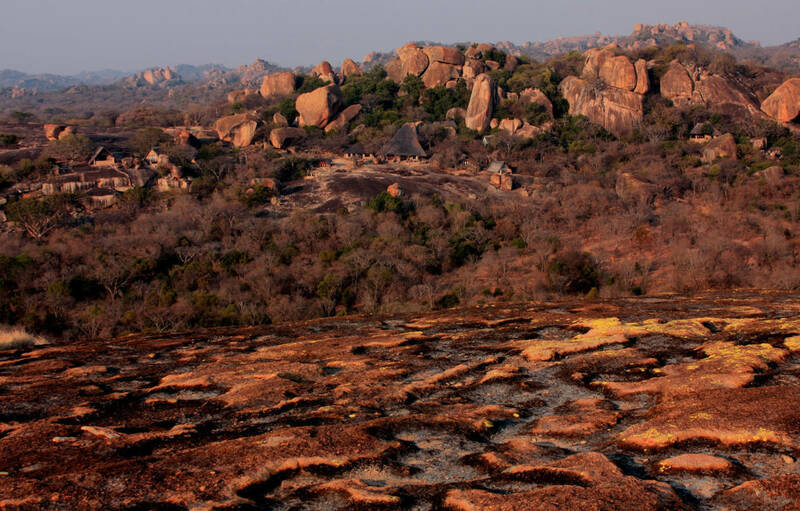 People have interacted with and been inspired by the natural rock formations of the Matobo Hills for many millennia. This interaction between humans and nature has fostered strong religious beliefs which still play a major role in contemporary local society; and that’s why a mysterious and magical atmosphere is what you feel while visiting this sacred territory. One of the best spots in the park is “the World View”, an incredible spot on one of the highest rock formations where Cecil Rhodes and several other leading early white settlers asked to be buried. Magnificent views of both the sunrise and sunset can be enjoyed from the top of the highest rocks and the atmosphere is one not to be soon forgotten. The Great Zimbabwe ruin is a World Heritage site. It’s the largest ancient stone structure in sub-Saharan Africa and a unique testimony to the Bantu civilization of the Shona who inhabited the area between the 11th and 15th centuries. The city was an important trading centre and was quite renowned from the Middle Ages onwards. It was discovered by the Portuguese in the 1500’s, but it was only in the 1900’s that its history became somewhat clear: it was, in fact, the peak expression of a very rich Shona civilization dedicated to trade and commerce, dominating such activity in the southern parts of Africa along the Indian Ocean. The ruins form three distinct architectural groups. They are known as the Hill Complex, the Valley Complex and the Great Enclosure. The Hill Complex sits atop a granite dome that overlooks the rest of the site and consist of small enclosures separated by narrow, twisting passages. This acropolis is considered a ’royal city’ is thought to have been the residence of a succession of chiefs. The Great Enclosure below the hill to the south dates from the 14th century. In the form of an ellipsis, it is marked off by a wall of cut granite blocks, laid in regular courses. The wall is 244 meters long and, measures 5 meters thick and 10 meters high at its tallest and widest points. Inside the Great Enclosure a series of living quarters in brick was constructed. Approximately 20.000 inhabitants lived inside this city. And finally, The Valley Complex is a a series of living ensembles scattered throughout the valley. By the 15th century, the city had fallen into an irreversible decline, leading to the disappearance of the civilization that had constructed it, and no record of a written language was left. The Gonarezhou National Park is located in southern Zimbabwe. This huge park borders Mozambique’s Limpopo National Park and South Africa’s Kruger National Park to make up a vast wilderness area called The Great Limpopo Transfrontier Park. It is the biggest protected area in the world, covering over 100.000 square kilometers, but the project is a work in progress. The idea is to open up the whole area in order to allow animals to move freely between the sanctuaries, but the many kilometres of fences are still being torn down by the various parks. The vast size, rugged terrain and isolated location have allowed large tracts of this park to remain pristine and wild. The park is on a low veld featuring baobabs, scrublands and sandstone cliffs. This remote undeveloped wilderness varies from open pans of tall grass to dense bush along the Runde, Mwenezi and Save Rivers, accounting for the presence of all the large safari animals, including the Big Five. The park has a healthy population of elephants, buffalo, all the big cats and a wide variety of antelope. Two very well organised and high level lodges are available inside the park, the positions of which are stunning and offer amazing views. Many activities are available such as game or walking safaris with expert guides. The Eastern Highlands is the title given to the area containing three mountain ranges and their associated hill country: the Nyanga range to the north, the Bvumba Mountains in the central highlands and the Chimanimani range to the south. They stretching over 300 km down the eastern side of Zimbabwe and border Mozambique. This area was a big attraction for the British that found this land of rivers and lakes similar to their own lands. In the region, it is possible to sleep in a nice chalet or other quaint accommodations in area. This park is situated on the highest mountain of Zimbabwe: Mount Nyangani, which is 2.592 meters high. The landscape is more reminiscent of Northern Europe than Africa, with its hills and mountains covered in rocks and ferns. Many flowers such as Orchids, Protea and Flame Lilies (the national flower of Zimbabwe) grow all over the terrain, climbing trees and even reaching heights of 8 feet. Wildlife found in the park include waterbuck, wildebeest, kudu, zebra, impala, sables, eland and baboons. From the central area of the highlands you can access the small town of Mutare, and it is possible to visit the the area by horseback or on foot. Although small, the area boasts an amazing botanical garden with flowers from all over the African continent. A mountainous terrain with a peak height of 2,436 metres (7,992 ft). It is a great place for the trek lovers and is the source of many streams and springs creating many natural falls such as the highest, Bridal Veil Falls, (a 50 m drop down into a base about 10 m wide). The forest is covered in dense yellowood, cedars and hibiscus trees and contains many spectacular flowers including orchids. Birdwatchers will also love this park.